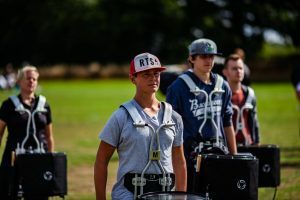 Kidsgrove Scouts and System Blue partnership continues with the addition of System Blue Professional Marching Percussion to the DCE ensemble. KGS will be debut the new drums at the DCUK : Drum Corps United Kingdom show in Telford on the 9th September. System Blue Professional Marching Percussion is used by some of the world’s elite marching ensembles including the 18-time Drum Corps International Champion Blue Devils Drum & Bugle Corps, 6-time WGI Champion RCC Indoor Percussion and the world renowned Top Secret Drum Corps. Together, this is our time. Did you know that The Blue Devils are the first ensemble to perform on all System Blue instruments? The 2018 DCI Silver Medalists proudly perform on System Blue Professional Brass, Professional Marching Percussion as well as Professional Concert Percussion. 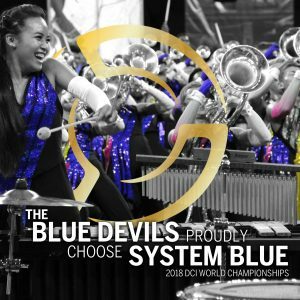 Congratulations Blue Devils on an incredible 2018 DCI season!